A surge in armed attacks against ships around West Africa is pushing up global levels of piracy and armed robbery at sea, warned the International Chamber of Commerce's International Maritime Bureau (IMB). In its latest report, the IMB's Piracy Reporting Centre recorded 66 incidents in the first quarter of this year, up from 43 for the same period in 2017, and 37 in 1Q16. Worldwide in the first quarter, 100 crew were taken hostage and 14 kidnapped from their vessels. A total of 39 vessels were boarded, 11 fired upon and four vessels hijacked. IMB received a further 12 reports of attempted attacks. The Gulf of Guinea accounted for 29 incidents in 1Q18, more than 40% of the global total. Of the 114 seafarers captured worldwide, all but one were reported in this region. All four vessels hijackings were in the Gulf of Guinea, where no hijackings were reported in 2017. Two product tankers were hijacked from Cotonou anchorage in mid-January and early February, prompting the IMB PRC to issue a warning to ships. Towards the end of March, two fishing vessels were hijacked off Nigeria and Ghana, respectively. “The hijacking of product tankers from anchorages in the Gulf of Guinea is a cause of concern. 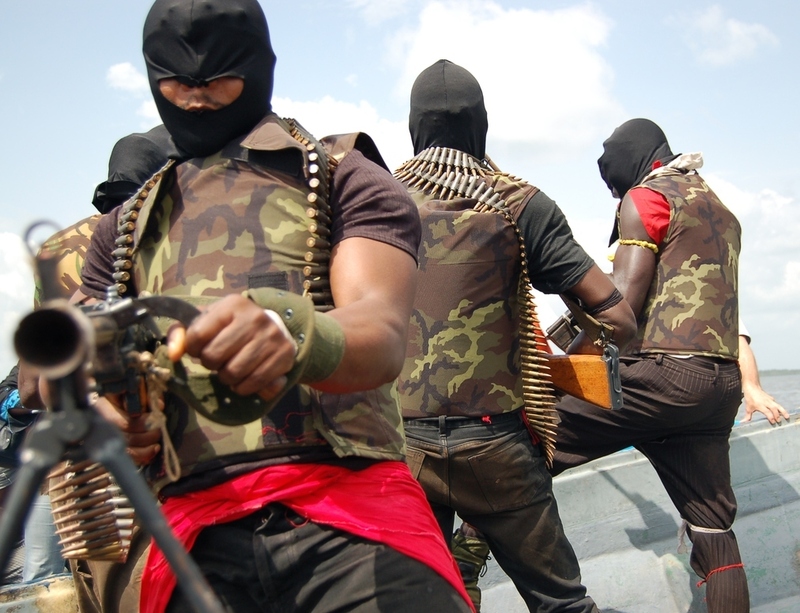 In these cases, the intent of the perpetrators is to steal the oil cargo and kidnap crew. The prompt detection and response to any unauthorised movements of an anchored vessel could help in the effective response to such attacks,” stressed an IMB spokesperson. Nigeria alone recorded 22 incidents. Of the 11 vessels fired upon worldwide, eight were off Nigeria – including a VLCC more than 40 miles off Brass. “Attacks in the Gulf of Guinea are against all vessels. Crews have been taken hostage and kidnapped from fishing and refrigerated cargo vessels as well as product tankers. In some cases, the attacks have been avoided by the early detection of an approaching skiff, evasive action taken by the vessel and the effective use of citadels. “The IMB is working with national and regional authorities in the Gulf of Guinea to support ships and co-ordinate counter piracy actions. The authorities from Benin, Nigeria and Togo have sent out boats in response to several incidents,” said the IMB spokesperson. One incident was reported off Somalia, where a product tanker was fired upon and chased by two skiffs around 160 miles Southeast of Hobyo. At the end of March, a Suezmax reported being fired upon in the Gulf of Aden, while transiting within the Maritime Security Transit Corridor. The distance from land, sighting of ladders and firing upon ships continued to illustrate that the Somali pirates still had the capability and intent to attack merchant shipping in the wider Indian Ocean. Elsewhere, Indonesia recorded nine low level attacks against anchored vessels. Meanwhile, Singapore-based ReCAAP reported 14 incidents (comprising nine actual incidents and five attempted incidents) in Asia during January-March, 2018, compared to 27 incidents ( 21 actual and six attempted incidents) during the same period of 2017. This is a 48% decrease in the number of incidents reported for the period in question. Of the 14 incidents reported during this year, one was of piracy and 13 were armed robbery against ships. The improvement was due to a decrease in the number of incidents at ports and anchorages in Bangladesh and Philippines, ReCAAP said. There was no actual incident reported of abduction of crew for ransom in the Sulu-Celebes Sea and no incident of hijacking of ships for theft of oil cargo during January-March, 2018.